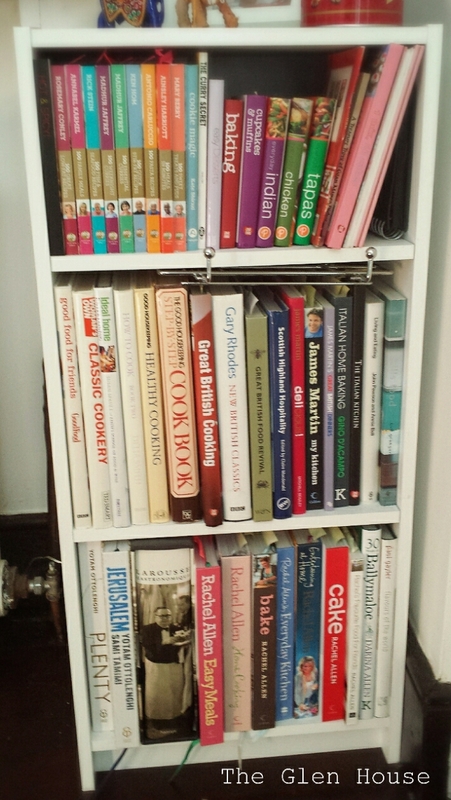 …are all these cookery books! I haven’t actually counted them, I’m quite scared of arriving at a high number because it might force me to stop collecting them. So I decided what I don’t know can’t hurt me! There is a great mix of cake and pudding books alongside meat, fish and vegetarian ones. 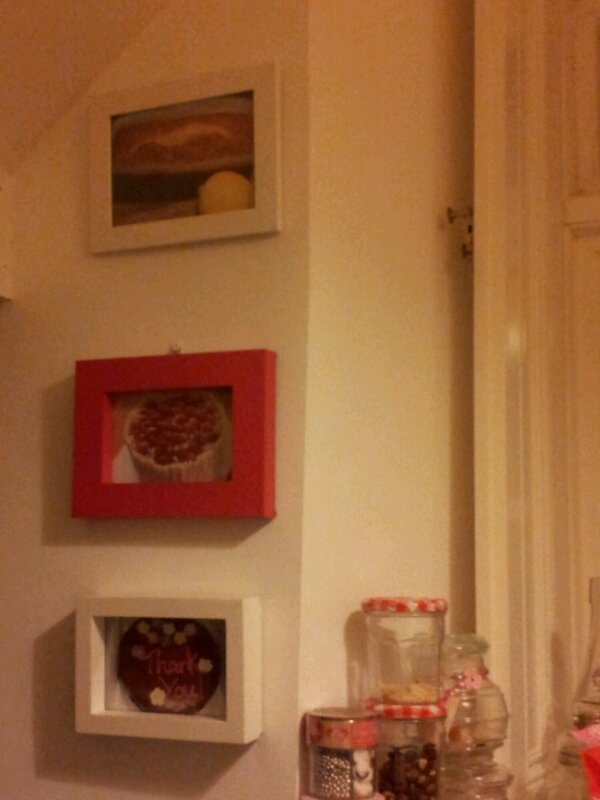 Sitting in amongst them all are photos of my cakes and some random knick knacks! 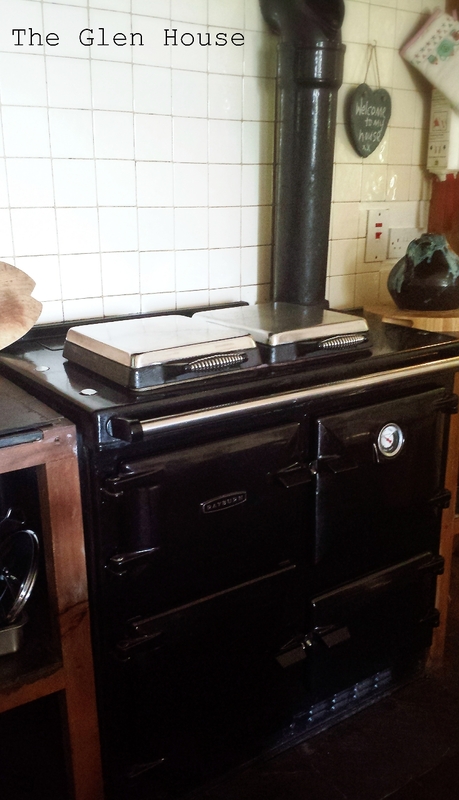 …stands this magnificent range cooker. It really is the heart of the home. It cooks, heats and drives us bananas when it doesn’t work. It’s a nightmare to keep clean, but I love it. This post recalls the first time I made a cake in the rayburn. 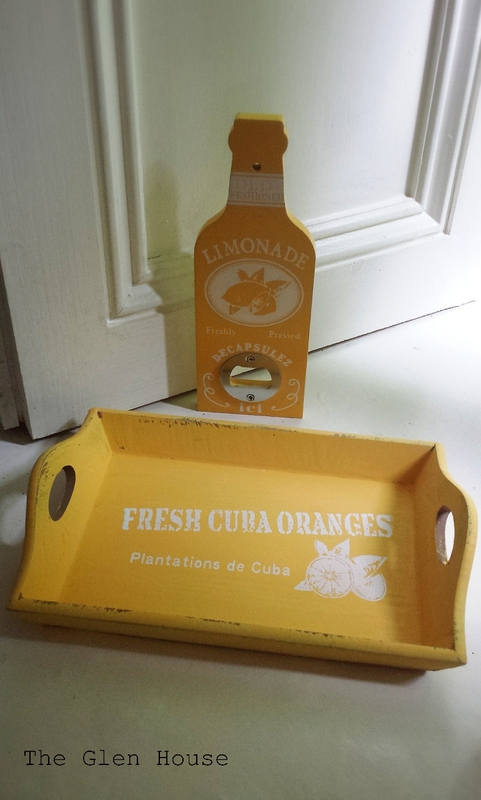 …is a beautiful yellow wooden tray and bottle opener all the way from a recent trip to Valkenburg in the Netherlands. … is a colourful tagine! 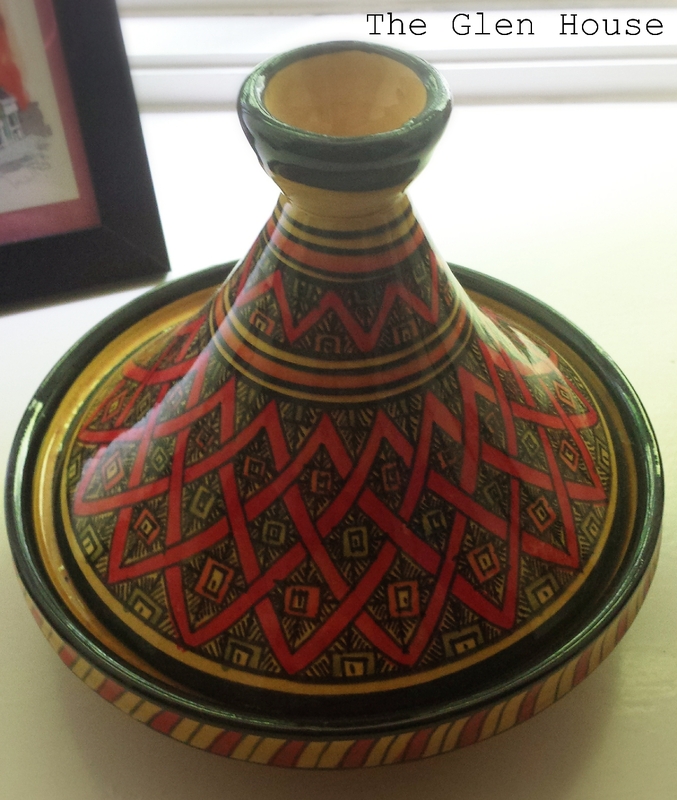 This one is only for decoration as I’d hate to break it, but it’s a beautiful reminder of the Moroccan trip. 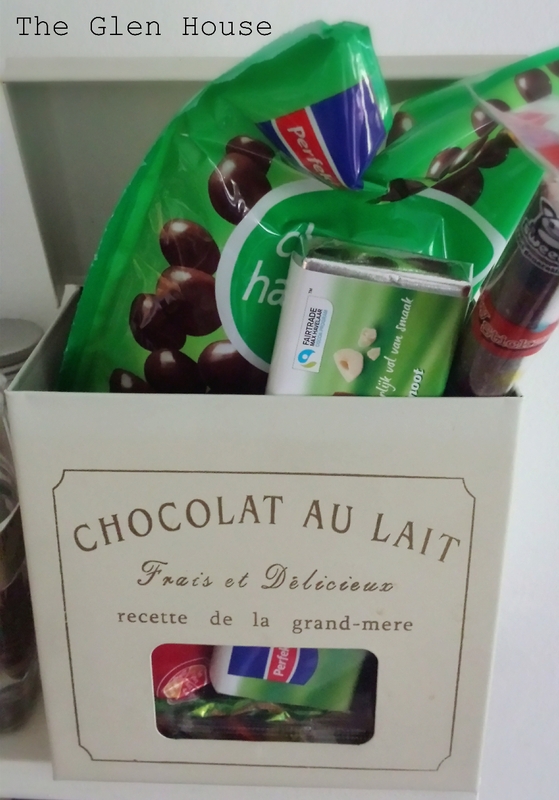 …stands this French inspired chocolate box, bought on a trip to Galway. It’s always full, it doesn’t matter how much chocolate you eat! It current holds some delicious treats from our holiday to the Netherlands. …sits these cute little salt and pepper orniments, gifted to me as a house warming present several years ago. …are jars, loads of jars! 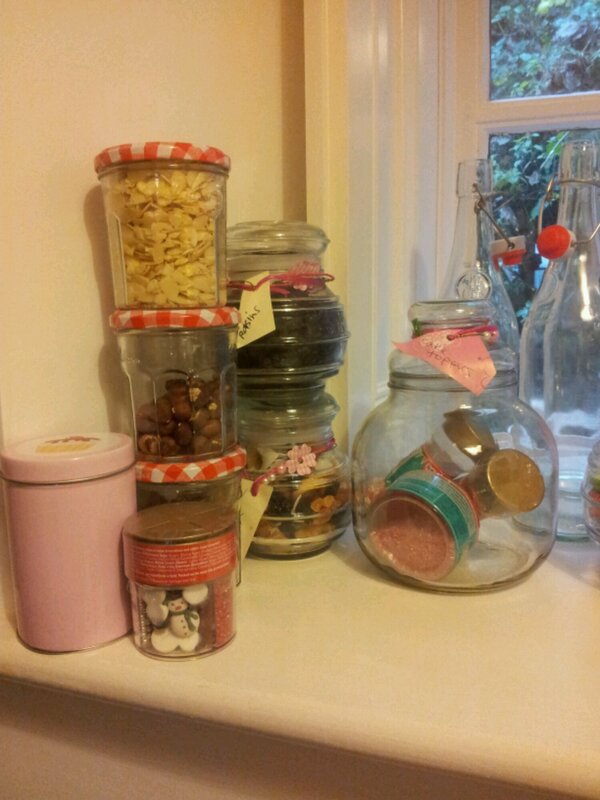 The pantry holds jars with all sorts of things, from pasta to nuts, biscuits to icing sugar. The latest addition has been the amazing drinks dispenser. 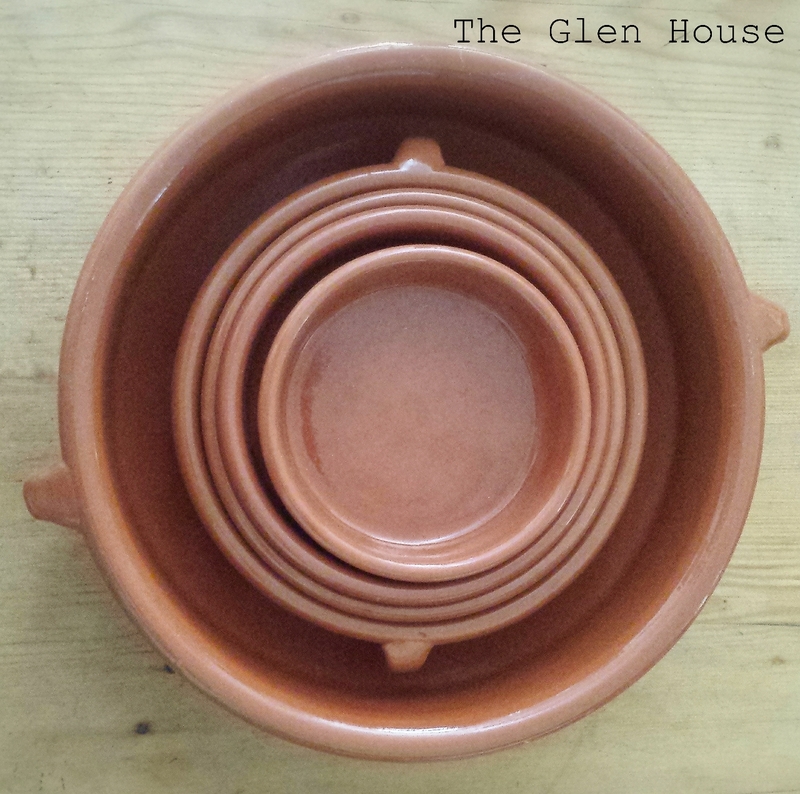 …sits these fantastic tapas style bowls. I love the way they are all the same but it different sizes! This post has been so much fun! 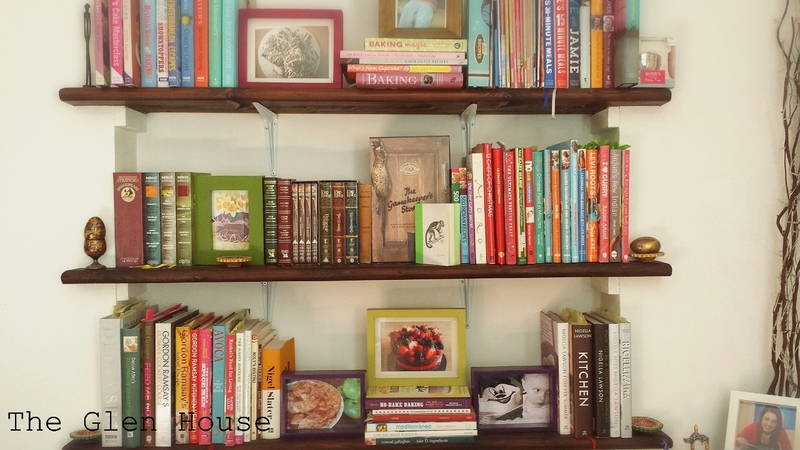 If Ceila allows me, I’d love to do another one next month and share some more of my kitchen. Today is our two month anniversary in the house! Where did the time go? 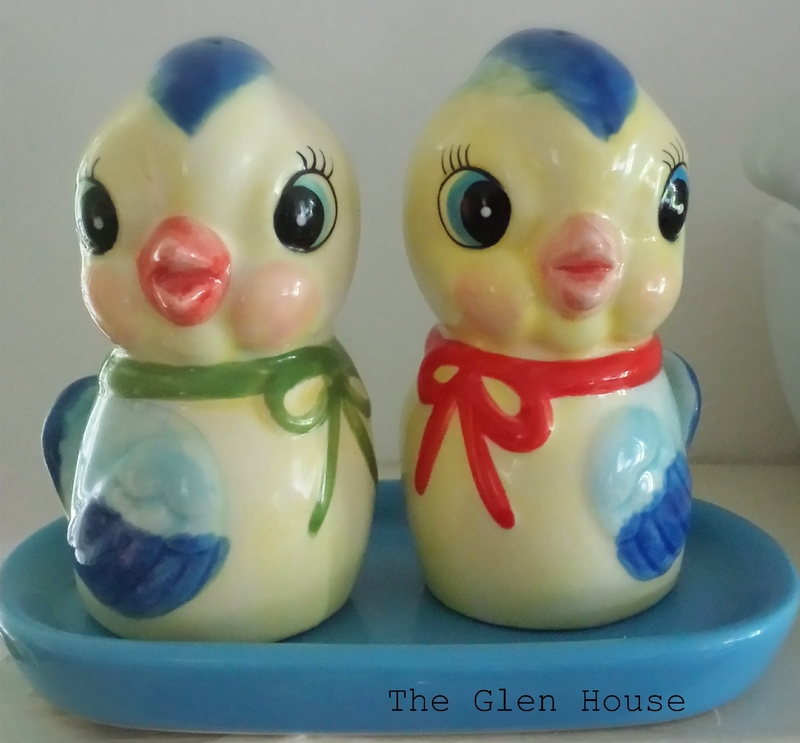 The Glen House certainly feels like home, but there was something missing. The pantry was almost empty…. 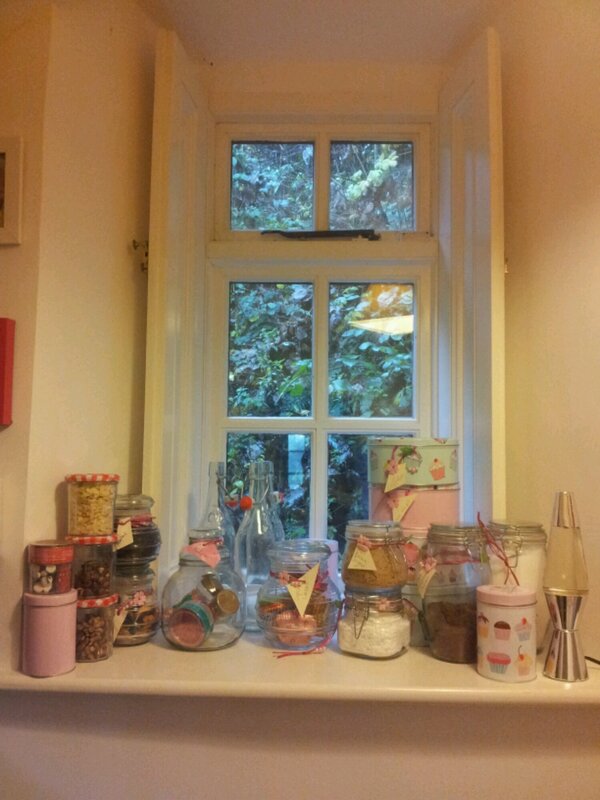 I decided to use one of the window cills in the pantry itself for some of the baking bits uses. So with a lot of love and the help of pretty containers and ribbon, it’s now filling up. All the different sugars are housed in tall jars, powders and the like in the larger tins. 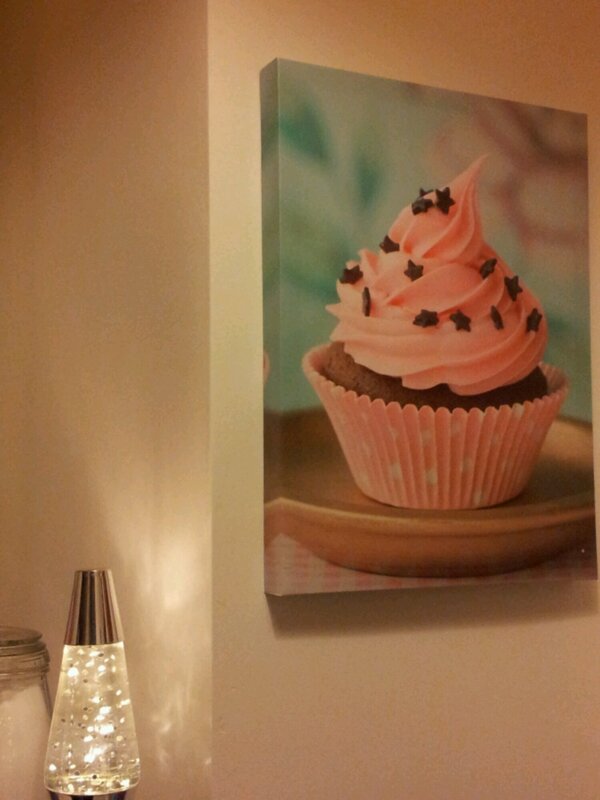 And just to add some sparkle, the area is finished off with a funky lava lamp. 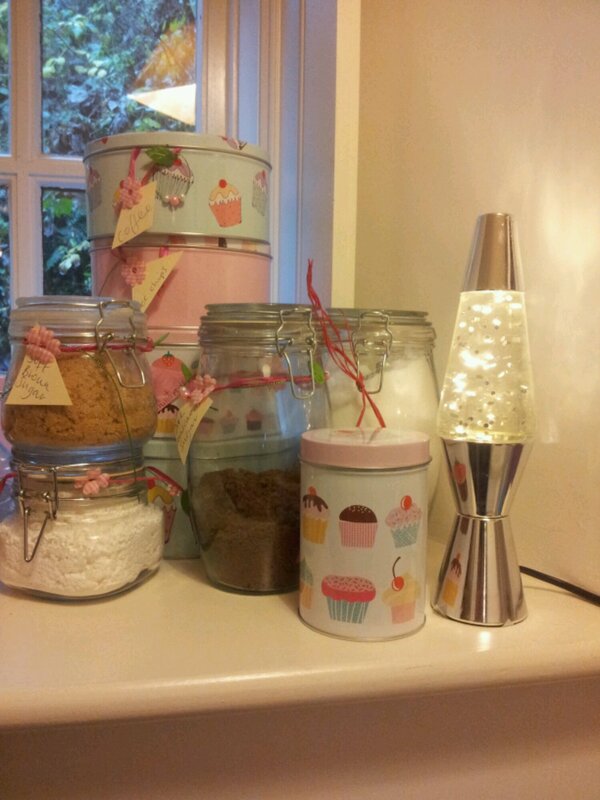 Colourful sprinkles and cake cases sit in gorgeous glass jars and nuts are placed in old jam jars. Oh, and don’t worry… There’s plenty more food in the pantry, I don’t live on cake…. Promise! !